A view of Westminster from across the Thames. 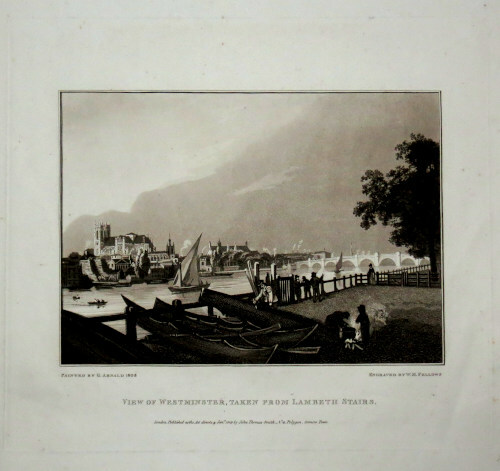 London: John Thomas Smith, 1809. 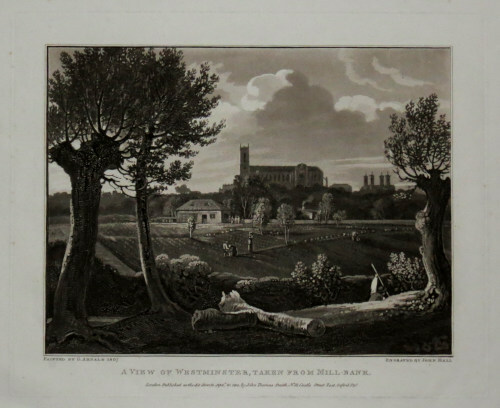 Engraved by John Hall for Arnald for Smith's 'Antiquites of Westminster'. 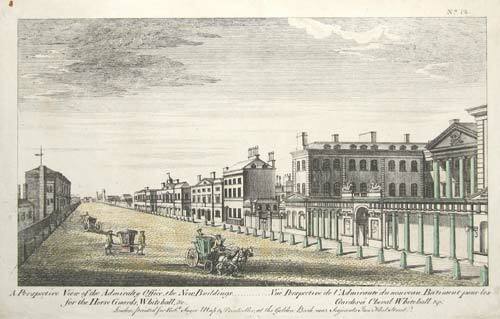 London, Dicey & Co., c.1760. 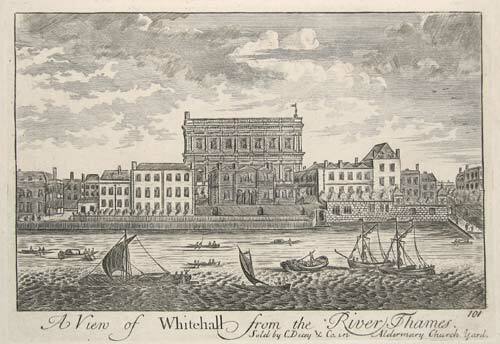 View of the Palace of Whitehall. Cluer Dicey, is best known for being the last publisher of John Speed's county maps, 150 years after their first issue.